Beginning this Spring the Steller’s Jays have been exploring the concept of Novelty vs. Familiarity. We began by learning Sit Spots in our Garden Learning Center. 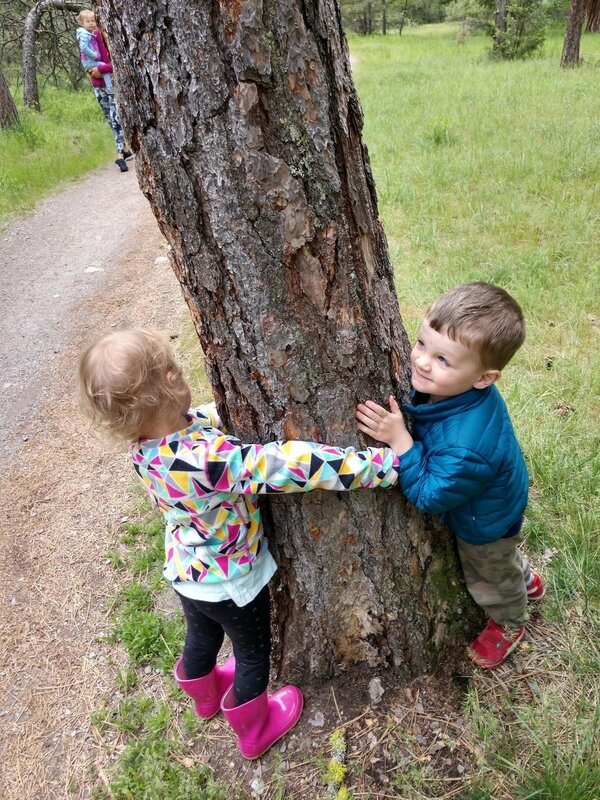 Children practiced sitting quietly in nature, for a short amount of time, and noticing with their senses. We noticed the weather, growing things, animals, and people. Steller’s Jay students became very familiar with their garden Sit Spots after practicing for several weeks. In May, we sauntered to Lincolnwood twice to have Sit Spots in a new place. 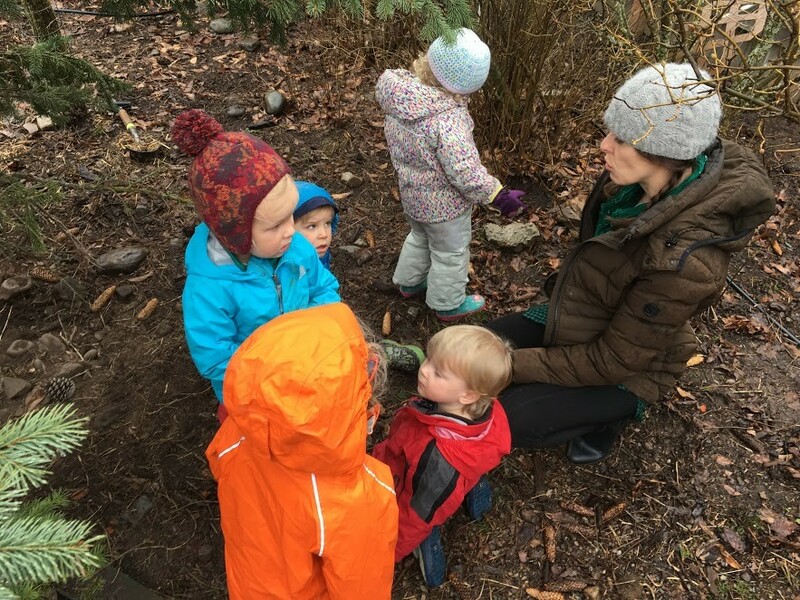 Children sat quietly in the woods and were encouraged to think about how their Sit Spots were the same or different from the Garden Learning Center. We explored our “familiar” experience with a new or “novel” one.